We all love to talk about “living the dream”! One plan that gets a ton of press is spending winters in the tropics, either Bahamas or Caribbean, and then spending summers in the Northeast. Without being too much of a homer, I have to say that there is nowhere in the continental US that touches the cruising grounds extending from Long Island NY to the Canadian border in Maine, from June until October. 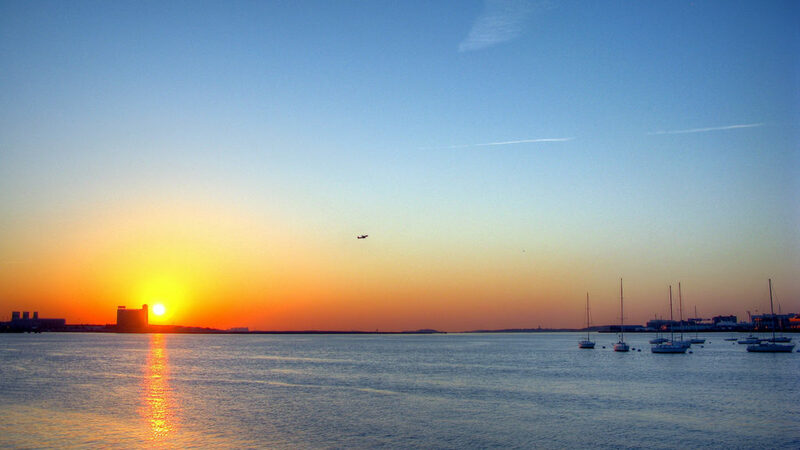 There is culture, there are infinite harbors, magical islands, great wind, and deserted bays. There are lobster rolls, clam bellies, and hot dogs! You have the Hamptons, and Block Island, Edgartown and Nantucket, the upper Cape, Gloucester, and all of glorious Maine, from Portland to Bar Harbor, with at least 25,000,000 lobster pots. There is only one big problem with the Northeast. Winter is coming! This is a discussion of exit strategies in the fall. Long passages are a reality for cruising sailors. For some folks, they are the best part, but for most, passages are just a means to an end. Keeping passages short, safe, and fun may be the one thing that makes the cruising lifestyle viable for you. You must never let yourself be beholden to a schedule, you should have good crew, and your boat needs to be properly prepared. If you have a great weather window, and some combination of a mechanic, chef, doctor, jokester, and a young lunatic on your crew, what could possibly go wrong? The so-called Hurricane season, as defined by marine insurance companies, ends November 1. For our purposes, let’s use that marker as our target departure date. There will be boats exiting our waters like cars on the New Jersey turnpike at 5pm. So what is the best plan? If you get up into Maine, by mid-September you will start to see lots of cold weather. By October, unless your boat has good heating, you will want to be headed south. Obviously, you’ll want to always watch the weather, and you will always want to have a plan in mind in the event bad weather does come. There are many so-called hurricane holes up and down the coast of the Northeast. Essentially you are looking for a place that is sheltered, has either great holding or good moorings. Most cruising cat sailors don’t spend much time at marinas, but I might suggest that the fall is a nice time to spend a bit of time on a dock, especially in a place like Boston, or Newport, where you can fix stuff, enjoy the culture, and utilize the shore power. 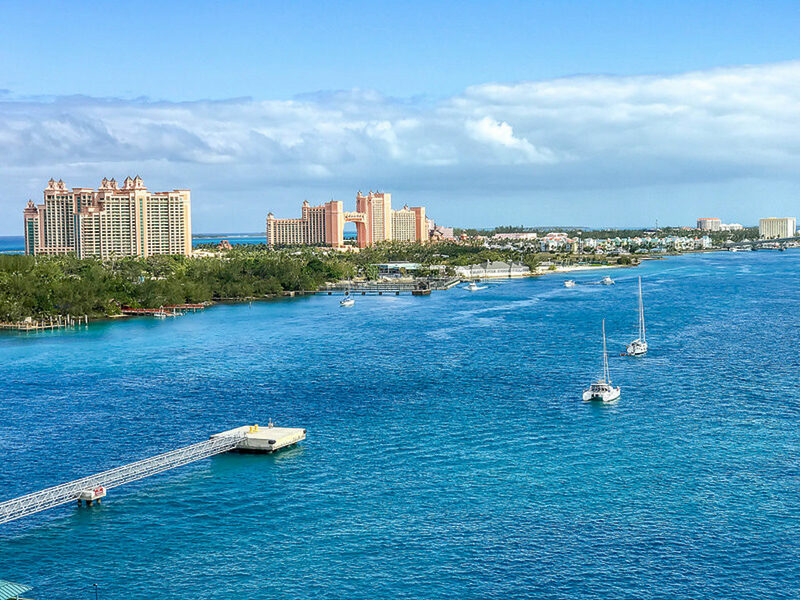 If your plan is the Caribbean, getting to Bermuda first is a great idea, and a perfect stopping point. With any luck, your passage out of New England to Bermuda will be 3, 4 days max. Bermuda is awesome! Dark and Stormies, 30 dollar cheeseburgers, and a flotilla of southbound cruisers to get to know and love. Here’s the thing. In November it is cold. It is volatile. The daylight you have to work with is quite short. It is pretty scary. It is of paramount importance to get the weather right. Having said all that, as soon as you cross the Gulf Stream, it gets warmer. 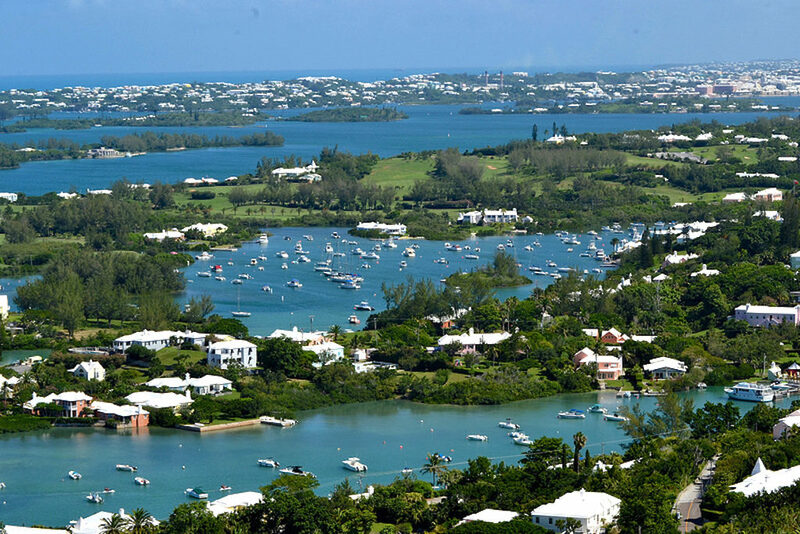 By the time you are in Bermuda, it is really nice. And, from there, you wait for a “window”, and blast to the Northern Caribbean in 4 days, and the fun begins. If that all seems really scary to you, or your ultimate destination is the Bahamas, consider moving to the Chesapeake Bay in October. 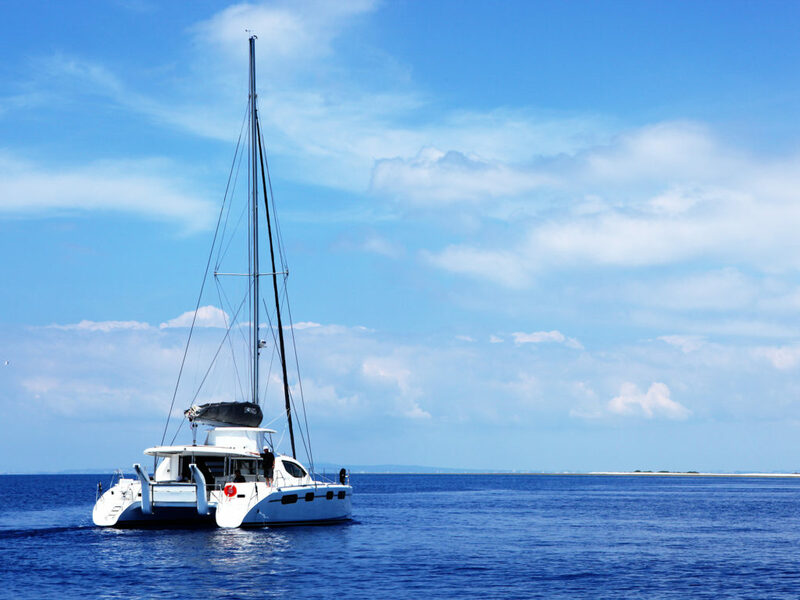 There is a lot to do there, great places to hide out if you need to, or you might attend the Annapolis Boat show and stop by and buy a new Outremer Catamaran from us! Seriously though, going through the Chesapeake has its value, and if you want, you can hook up with the Caribbean 1500, or Salty Dog rallies southbound. Safety in numbers passages are a really good idea for almost any cruiser. The parties are good too. These rallies inspect your boat and coach you up on your offshore M.O. The only downside, from my perspective, is that the rallies generally go from Norfolk straight to the Virgin Islands. Bermuda doesn’t figure in, which is too bad. A lot of first-timers opt to go down the US coast. There is obvious safety to this plan too. The big issues become ICW compatibility (your mast needs to be shorter than 65’), and the Gulf Stream is running against you. Going around Capes Hatteras, and Fear also can present some anxious moments. This route is going to take you a month, minimum, but eliminates overnights, and keeps you within a few hours of a safe harbor at all times. Of course, once you hit Florida, bouncing over to the Bahamas is a chip shot, 45 miles or so, depending on your jumping off point. In the end, accumulated experience may dictate what you choose to do. Variety is good too, if each year you do something different, and it makes the shoulder seasons more enjoyable. If you are “living the dream”, you are very likely looking at these choices. I should add, getting from the Bahamas to the Caribbean is brutal. 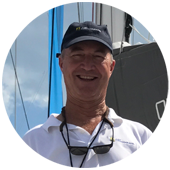 Speak with Derek Escher to help you find the right catamaran for you.